Emanuele Viterbo received his degree (Laurea) in Electrical Engineering in 1989 and his Ph.D. in 1995 in Electrical Engineering, both from the Politecnico di Torino, Torino, Italy. From 1990 to 1992 he was with the European Patent Office, The Hague, The Netherlands, as a patent examiner in the field of dynamic recording and error-control coding. Between 1995 and 1997 he held a post-doctoral position in the Dipartimento di Elettronica of the Politecnico di Torino. In 1997-98 he was a post-doctoral research fellow in the Information Sciences Research Center of AT&T Research, Florham Park, NJ, USA. He became first Assistant Professor (1998) then Associate Professor (2005) in Dipartimento di Elettronica at Politecnico di Torino. In 2006 he became Full Professor in DEIS at University of Calabria, Italy. From September 2010 he is Professor in the ECSE Department and Associate Dean Research Training of the Faculty of Engineering at Monash University, Melbourne, Australia. Prof. Emanuele Viterbo is a 2011 Fellow of the IEEE, a ISI Highly Cited Researcher and Member of the Board of Governors of the IEEE Information Theory Society (2011-2013 and 2014-2016). He served as Associate Editor of IEEE Transactions on Information Theory, European Transactions on Telecommunications and Journal of Communications and Networks, Guest Editor for IEEE Journal of Selected Topics in Signal Processing: Special Issue Managing Complexity in Multiuser MIMO Systems, and Editor of Foundations and Trends® in Communications and Information Theory. In 1993 he was visiting researcher in the Communications Department of DLR, Oberpfaffenhofen, Germany. In 1994 and 1995 he was visiting the cole Nationale Suprieure des Telcommunications (E.N.S.T. ), Paris. In 2003 he was visiting researcher at the Maths Department of EPFL, Lausanne, Switzerland. In 2004 he was visiting researcher at the Telecommunications Department of UNICAMP, Campinas, Brazil. In 2005, 2006 and 2009 he was visiting researcher at the ITR of UniSA, Adelaide, Australia. In 2007 he was visiting fellow at the Nokia Research Center, Helsinki, Finland. 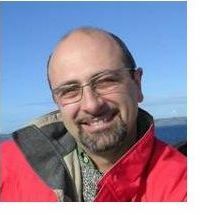 Dr. Emanuele Viterbo was awarded a NATO Advanced Fellowship in 1997 from the Italian National Research Council, the 2012-13 Australia-India Fellowship from the Australian Academy of Science, and the 2013 Invitation Fellowship for Research in Japan from the Japan Society for the Promotion of Science. His main research interests are in lattice codes for the Gaussian and fading channels, algebraic coding theory, algebraic space-time coding, digital terrestrial television broadcasting, and digital magnetic recording.